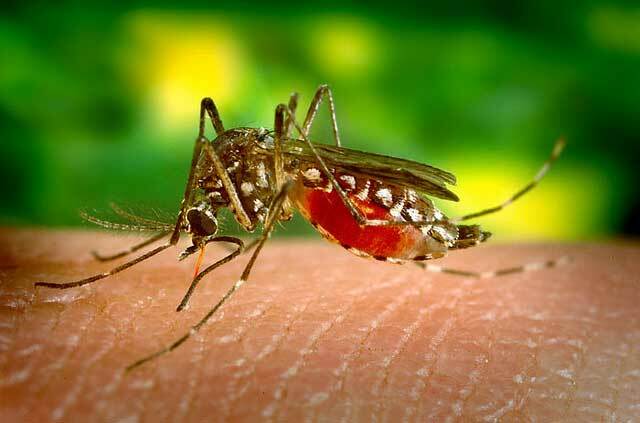 Chikungunya fever is a new terror in Dhaka city. It’s spreading very fast in our capital. Yesterday I attended a scientific seminar on Clinical Management of Chikungunya. It was arranged by Bangladesh Society of Medicine and Department of Medicine of Dhaka Medical College Hospital. Bangladesh Society od Medicine have provided a guideline. This guideline elaborates the facts about chikungunya. Directorate General of Health Services under Ministry of Health and Family Welfare has published a National Guideline on Clinical Management of Chikungunya Fever. This is the peak time for Chikungunya virus to spread. So cautions are needed to ensure you are protected against Chikungunya virus. Chikungunya is not a fatal disease, said Professor Sabrina Flora, Director of Institute of Epidemiology, Disease Control and Research (IEDCR). She was present in the scientific seminar yesterday and repeatedly asked media and people not to panic over Chikungunya. In Bangladesh rate of Chikungunya virus (CHICK V) is increasing at a quick pace in the recent years. The Institute of Epidemiology, Disease Control and Research (IEDCR) has received 240 blood samples of clinically suspected CHICK V infection up to the first week of May. Among them, 50 are laboratory confirmed. Chikungunya fever is caused by Chikungunya virus (CHIKV ) which is an RNA Virus. The virus is transmitted by the Aedes mosquitoes which also transmits Dengue virus. The Chikungunya name is derived from the ‘makonde’ dialect which means ‘that which bends up’. Literally, there is a severe bone pain. The virus was first isolated in 1952-1953 from both man and mosquitoes in Tanzania. The virus is heat labile and sensitive to temperatures above 58 0 C.
Outbreaks are most likely to occur in post-monsoon period. Aedes aegypti is the main vector of transmission of Chikungunya in Bangladesh. Chikungunya virus maintains the human-mosquito-human transmission. Chikungunya should be suspected when epidemically occurs with the abrupt onset of fever (>38.5°C), joint pain with or without skin rash. Diarrhea, Vomiting, Pain behind eyes, Mental confusion are common in children but not in Adult. Peoples with Hypertension, Diabetic, CAD/CVD, Geriatric age, Pregnancy, COPD or Co-infection with Dengue, Tuberculosis, Enteric fever, Pneumonia, HIV, Malaria are at great risk. Acute symptoms are generally self-limiting and typically resolve within 7–10 days. The virus remains in the human blood for 5-7 days and mosquitoes feeding on an infected person during this period can also become infected. This mosquito then transmits the disease to others by biting. How to know if its Dengue or Chikungunya Fever? As Chikungunya and dengue viruses transmitted by the same mosquitoes sometimes it is difficult to distinguish chikungunya and dengue based on clinical findings alone. Joint pain feature is more prominent in Chikungunya fever. Blood Report: Complete Blood Count (CBC) can be done which cost 250 taka only. Chikungunya virus more likely to cause high fever, severe polyarthralgia, arthritis, rash, and lymphopenia. Dengue virus more likely to cause neutropenia, thrombocytopenia, hemorrhage, shock, and death. Patients with suspected chikungunya should be managed as dengue until dengue has been ruled out. My child has a fever, is it chikungunya? Frequently asked by parents. Remember there are thousands of cause for fever. Don’t panic, go see a Doctor. Symptoms of chikungunya are sometimes very abrupt. It may be asymptomatic to severe disease. Children’s may have minor hemorrhagic manifestations, enlarged lymph node, eyelid swelling, and pharyngitis. Infants aged 1 month to 1 year may have acrocyanosis, symmetrical superficial vesiculobullous lesions, lethargy, irritability and excessive crying. Treatment is entirely sypmtomatic. There are no specific antiviral or vaccine against CHICK V.
Consume plenty of fluid or water with electrolytes. Take paracetamol tablets during periods of fever if you have no preexisting liver or kidney disease. Take Bed rest, no work or pressure today. Cold compresses by IcePack may help in reducing joint damage. Heat may increase/worsen joint pain. So no use of HEAT. Do not Take aspirin or NSAIDs by urself. The laboratory test is done on the advice of registered Doctors. The confirmatory test is done by any one of the followings but it does not change the course or treatment plan. How long does it take for chikungunya? What are the symptoms of chikungunya fever? How do you test for chikungunya? How long does it take to recover from chikungunya? What is the cause of chikungunya? In case of Chikungunya, prevention and control are entirely dependent on taking steps to avoid mosquito bites and eliminating mosquito breeding sites.